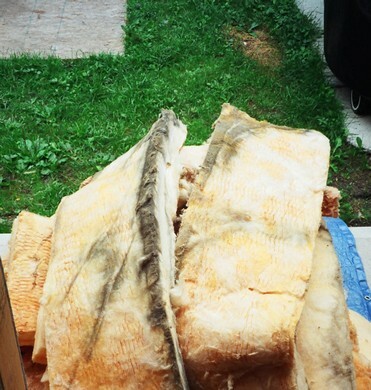 A friend of mine still lives in the same rural farmhouse where he grew up in the 1930s, and this lets him tell the best story I’ve heard in support of insulation. Every winter morning as a boy, he’d wander downstairs to find a crust of ice on water buckets in the kitchen, something that lasted for about an hour until heat from the woodstove warmed the house. And even though his place is still heated entirely by wood today, sub-zero indoor temperatures are a thing of the past. And that’s mostly because of the fiberglass insulation added during renovations over the years. Just about the time my friend remembers drinking ice water every morning with breakfast, Owens Corning was developing a manufacturing process to produce glass fibers in large enough quantities to become economical for use keeping homes warm. That was 1932, and since then fiberglass insulation has become a standard feature of Canadian homes. It’s easy to install and works well at a reasonable price, but there’s a problem. 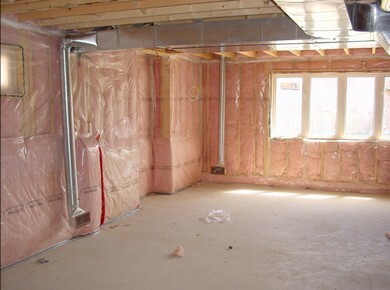 Despite its attributes, fiberglass insulation has a big weakness. It’s open structure and low density means it’s vulnerable to the formation of rot-promoting condensation inside building cavities. This is a fact that even some trade professionals don’t fully understand, and it’s why building codes in cold-climate areas demand the installation of what’s traditionally called an ‘vapour-barrier’ on the warm side of insulated areas. But how often does this happen properly? Not often enough. That’s why internal wall and roof condensation is all too common during the winter. Let’s say the relative humidity of heated air in your home is 50% during winter. If it’s allowed to, this indoor air will creep into wall and ceiling cavities on its own, and as it does it gets colder. The main thing to understand about relative humidity is that it’s relative to temperature. The colder the air, the less moisture the air can hold. So as indoor air cools within your walls, it’s relative humidity climbs, even though no new moisture is being added to the system. At some point during its journey between your 22C living room and the minus-22C blizzard outside, indoor air reaches 100% relative humidity. And if it gets cooler still, tiny droplets of water will appear out of nowhere within walls and ceilings. I know one roofing company owner who gets dozens of calls each spring when internal frost melts in fiberglass-insulated attics, causing what looks like roof leaks but isn’t. He thinks fiberglass should be outlawed because it causes him so much aggravation of this sort, but it’s not the fault of the insulation. The issue is improper vapour-barriers that allow frost to form where it shouldn’t. Keep the heated, indoor air out of cold places, and the problem is gone. Doing justice to the vapour-barrier challenge goes beyond what I have room to tell you about here. But typically, the job involves installing a continuous layer of 6mil polyethylene plastic inside a building. And while this isn’t difficult on large flat areas, it’s more of a challenge around windows, exterior doors, electrical boxes and areas where partition walls and floors meet exterior walls. This is where the use of acoustic caulking and strips of plastic woven into the building frame should be used. And here are the best Canadian technical resources to help you succeed in one of the most poorly-handled areas of construction. Whether you’re doing vapour barrier work yourself, or hiring out, it pays to be informed. Take a look, learn what’s required, then make sure it happens in your next building or renovation project. This is one of the crucial features of a healthy home. Will the condensation underneath the vapour barrier in my basement go away after I install drywall?